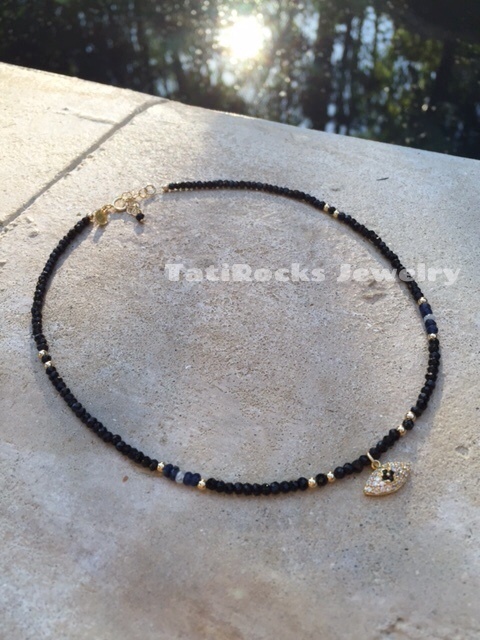 Gorgeous Black Spinel choker-style necklace with a small Evil Eye charm at the center. 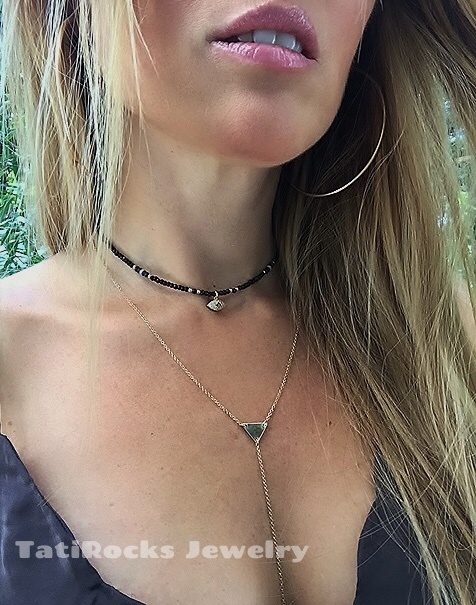 It’s perfect worn alone or as a layering piece. 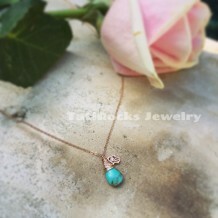 There are tiny Blue Sapphire and white Cubic Zirconia accents throughout the necklace. All 14k gold filled. The eye is 14k gold plated with tiny cubic zirconia stones. 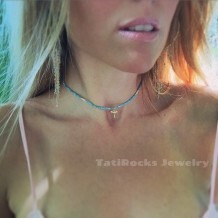 Triangle lariat necklace is sold separately.